Apart from a few extra pounds - when it comes to HR specialists and SMEs - there's really nothing to lose. We're urging you to think about how you can improve your business by focusing on a workplace health and wellbeing plan. But why is office health and fitness important for your business? 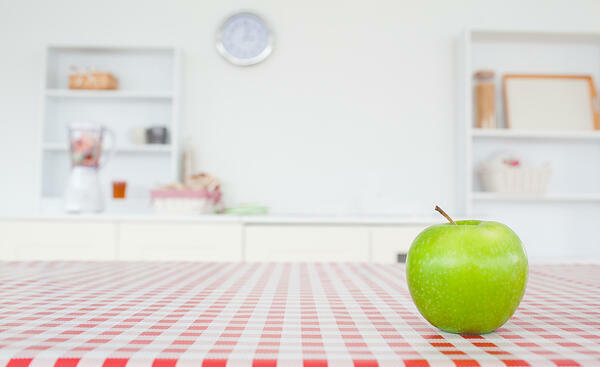 What defines a healthy office and how do you promote the benefits to your team? You've asked. We'll answer. What do we mean by workplace health and wellbeing? From what we can see, there's no standard rationale of what makes a healthy office. Granted, there's a plethora of information and instruction on the web, but actually pinning down one definition for your company or workplace is a bit like trying to treat every illness with an anti-histamine. It's just not plausible. There isn’t a one-size-fits-all. Instead, we recommend that you get to know your staff and tailor a health and wellbeing programme to fit around them. Think about your employees as individuals and then ask yourself, do they appear to have a healthy attitude to nutrition, exercise and mindfulness? In almost all cases, there will be room for improvement. But how can you encourage healthy change and coping mechanisms? Don’t worry, we’ve narrowed it down for you. Pay attention to these four wellbeing pillars and in this particular order: prevention, early diagnosis, support and rehabilitation. One third of our lives are spent at work. And when we're there, tight deadlines, tough targets and the persistent pace of the 21st century office can dramatically affect our stress and anxiety levels. Corporate health and wellbeing initiatives promise to help improve businesses by addressing some of the key challenges that offices are facing. How so? It starts with their people. One major factor in this is the introduction of multi-generational teams and the over-all effect that an ageing workforce could have on an organisation. A recent CIPD and LCP study demonstrated that 52% of HR professionals believe that the promotion of staff physical and mental wellbeing will have to change over the next five years, to adapt to the ageing population. It’s logical. If your team is multi-generational, you're likely to see a broader spectrum of conditions that require specific health and wellbeing initiatives. Whether it's physical or mental health, employees are people and people matter. Thanks to an upsurge in corporate respect, stemming from bolschy millennials who’ve realised they can also pull the strings in hope of a fairer and more enjoyable work-life balance, we’re all urged to implement healthy changes and coping mechanisms into our business and office environment. Many employers are already warmed up but missing the guidance to stay on the ball and committed to looking after their employees' welfare. For those in need of some inspiration, check out our 5 top tips. The first step is to provide an environment where your employees feel safe, secure and supported. This encourages honesty and openness. Consider signing up to a messaging software, like Slack, and set up a #wellbeing group for all members who are already invested in a healthy lifestyle. We've found it's a great way of sharing health tips, interesting articles and fitness podcasts or videos. Maintaining a nutritious diet, regular exercise and a stress-management regime improves fitness, wellbeing and confidence. Studies show that employees who are proactive and remain consistent with their health and wellbeing journey, exude confidence into the office. The healthier your team are, the healthier their attitude is, the healthier your business. According to a recent study, nearly 25% of UK employees always felt stressed or anxious, with over 75% claiming there isn’t a corporate wellness scheme in place. Combine this with stats from our second Espresso Culture Report - where MIND revealed that poor mental health in the workplace is costing the UK economy a staggering £100 bn per year - and you’ll soon understand why the drive for mental-ill health prevention, support and resilience training currently tops an HR-manager’s to-do-list. Line-manager mental-health training is a great way to ensure that you and your team are clued up on the signs of mental ill health. Create a safe space/ environment where your staff feel comfortable enough to share personal experiences and diminish the stigma of mental health. One of our wellness-dedicated teams have created the Space to Breathe campaign, which derived from a pledge our CEO, Jonathan Richards made to Time to Change. Inspired by the MIND-backed movement, we now meet fortnightly for breakfast (open to all in the office) before work and encourage the team to share their experiences. This ranges from an open-ended question, such as: What defines mental health in the workplace, to tried and tested stress-busting techniques. Save costs on unforeseen staff absences and improve employee resilience by building immunity throughout departments. By encouraging healthy office practices, you'll help your team develop physical and mental resilience, and subsequently reduce the frequency of niggling colds, viruses and workplace bugs. Consider introducing flexible or remote working options if you haven't already. Not only will this reduce the amount of contagious, office-caught illness and absences, but it can also provide the perfect solution for squeezing a workout or appointment into your working day. Presenteeism is a nasty word, with even nastier connotations. Coined by Dr Gary Cooper, presenteeism is the term given to employees (and employers) who turn up to work, but achieve very little. Procrastination is one of the main culprits here, and it's typically fuelled by unclear direction or purpose and a lack of motivation. Exercise is known for it's powers of motivation. Check out our office fitness post and see how you can improve employee efficiency, focus and productivity through a business exercise regime. If you haven't noticed, we're big on culture at Breathe. We put our people first and practice what we preach. That's why we've created the Culture Pledge, which offers downloadable resources, calculators, tips and easily-digestible guidance for HR consultants and SMEs. Take the pledge and see for yourself.